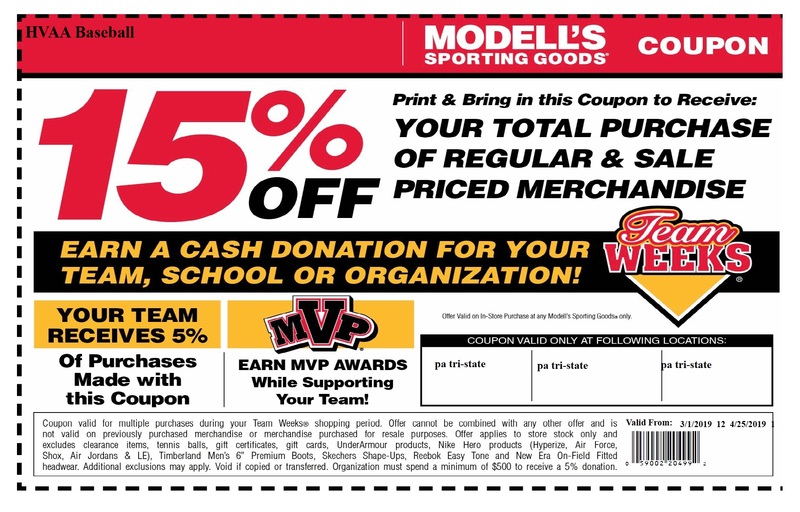 Save 15% off your total purchase at Modell’s Sporting Goods when you shop with your HVAA coupon. Modell’s will then donate 5% of all purchases back to HVAA. You can reuse this coupon for multiple purchases during HVAA Team Weeks. This HVAA coupon is valid today through April 25, 2019. The TD Affinity Program is a way to support HVAA and our programs. You can particpate easily whether you are an existing TD member or are becoming a new member. TD Bank will make their own donation to HVAA and all you have to do is tell them them the HVAA code (AH639). Contact the Southampton Branch today.